“I’m going to call my lawyer!” Welcome to America in the 21st century. It seems even the most mild disagreements can escalate to someone defiantly exclaiming those six words. The phrase has gotten so tired and so blustery that it often carries no weight. For my building, our Management doesn’t even bother to tell us when owners threaten us with legal action unless they actually call a lawyer. For me as a Board member, the threat of litigation initially seemed quite scary, but now it is just (another annoying) part of the job. There are tips and tricks to be learned when it comes to lawyers and condo associations, both for Boards and Owners alike. Today I’ll be focusing on tips for Owners. If you’re mad or frustrated — which it is easy to get when dealing with an Association — don’t threaten legal action just because you’re not getting your way. It doesn’t actually get you anything – in fact, it often hurts you. Management and Boards see empty threats all the time, but nonetheless will often follow a set process that may slow down the resolution of your problem. For example, if you’re dealing with Management, they’re likely going to ignore your threat (and also be less inclined to work with you), or they’re going to clam up and go to the Board for guidance, which means you now have to wait for a majority of the Board to come to a decision. If you’re dealing with the Board directly and threaten them, they’re likely going to stop dealing with you and direct you to work with their lawyer. This will also slow everything down, and again, make it less likely you’re going to get your end result, because now you’re costing the Association money. If you actually engage the services of a law firm and they send correspondence on their letterhead, things will absolutely grind to a halt and the Association will get their lawyers involved. Bottom line – empty threats are useless. On the other hand, there are absolutely times where Boards are being obstinate and difficult – particularly when they are failing to fulfill their legal duties – perhaps they’re not repairing a common element that is impacting the safety or security of your unit. In that case, you may have no choice but to go the legal route. 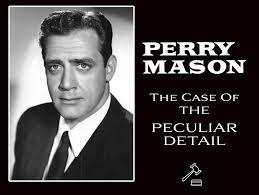 Your legal experience will not be as efficient, quick, or awesome as Perry Mason. If you are actually ready to call a lawyer, first do a cost-benefit analysis – not just for you, but for what your issue is costing the Association. A lawyer costs the Association a lot of money (comparatively speaking) – probably $200-$500 an hour, depending where you live. If your quibble is over anything less than a couple thousand bucks (maybe even a bit higher), there’s a chance the Association is going to want to settle rather than let things drag out and pay the lawyers a lot of money. But there’s a counterpoint to this – remember, the Association has legal expenses as a budget item. They expect — and budget for — paying legal fees throughout the year. Unless you have a lot of money laying around (or are a lawyer and can self-litigate), you most likely would rather spend that money on, say, a vacation – or anything but a lawyer. Under some circumstances, one of which I’ll cover below, and more I’ll cover in the future, the Association may fight you over small sums of money, but in general, a simple cost-benefit analysis will give you an idea of what you’re getting into – is it worth $2,000 in legal fees for a $500 dispute? And when you do call a lawyer to talk through your case, they should also run through this with you, as well as if you’ve got legal grounds to stand on. Important to remember – if the Board has dug in to this point, they’re not going to settle until you actually get a lawyer or file in small claims court. Just saying you’ll lawyer up won’t trigger a settlement unless you’ve got a weak Board or something else is going on. But as noted previously – if the Board is failing to uphold their fiduciary duty and are presenting you with a truly unsafe environment, you should use legal action to prompt resolution. One of the most important things a good lawyer will discuss with you is whether a Board’s actions are merely inconvenient to you – or if they are actually illegal. I’m going to cover the one major exception I’ve seen where an Association will fight you, because it’s so important. If you are asking for special treatment that will set a precedent and affect other Owners and could cause a “dog pile effect” (“Hey, Jimmy got free candy, I want free candy!”) – any competent Board will fight you. For example, say multiple units are being repaired, and are partially uninhabitable, but they’re inhabitable enough under your state laws – and you go stay in a hotel and then want the Association to reimburse you for the hotel, they refuse, and you sue. They will fight you (and, by the way, you will probably lose). This is a simple example, but you can quickly see where the gray areas will kick in. A good Association will always fight you, because if they don’t, EVERYONE wants a hotel room, which will devastate the Association’s finances, which ironically will then result in you (and everyone else) paying more in condo fees. If you do move forward with legal action, things will go one of two ways – the lawyers will either quickly hash out a settlement that will be accepted or rejected, or you’ll go to trial, which can be a lengthy process. Others have certainly written extensively about the joys of civil trials, and my experience based what I’ve seen will confirm what most people will say – you pay a lot of money for not a whole lot of satisfaction on either side. Try to find compromise that works rather than dragging it out. Unless, of course, you’re a high roller in a fancy building like this story in DC – but my guess is you are not. Lawyers and condo associations are a messy mix. Bottom line – don’t threaten legal action unless you mean it. Empty threats make you seem like an amateur and does not build a positive relationship with the Association – even if it feels like the Association deserves the threat. That said – there are absolutely cases you will need to go into battle with your Board. In those instances, identify the end resolution you want to get to and don’t let your emotions get the best of you.